Join us for a great day of hiking, kloofing and abseiling. We depart from Cape Town or Stellenbosch. This is a great way to spend a day outside hiking, kloofing and abseiling. After arriving in Gordon’s Bay, a leisurely walk takes us to some magnificent rock pools where you can kloof from heights of 3 to 23 meters. Kloofing is a name given to the activity of jumping from different heights into rock pools in a gorge. The height you can jump is up to you and depends on how brave you are feeling! 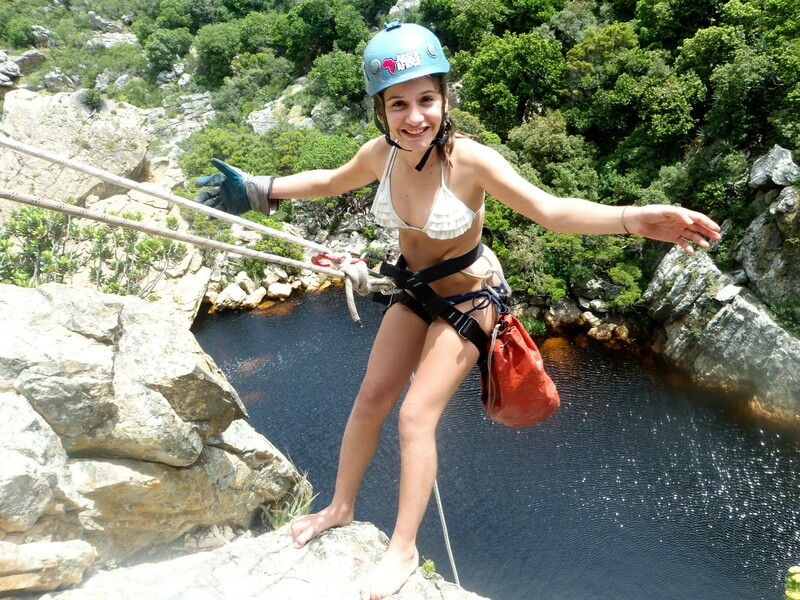 After a healthy picnic lunch you will take on the abseil down the rock cliff and experience a real adrenaline rush.